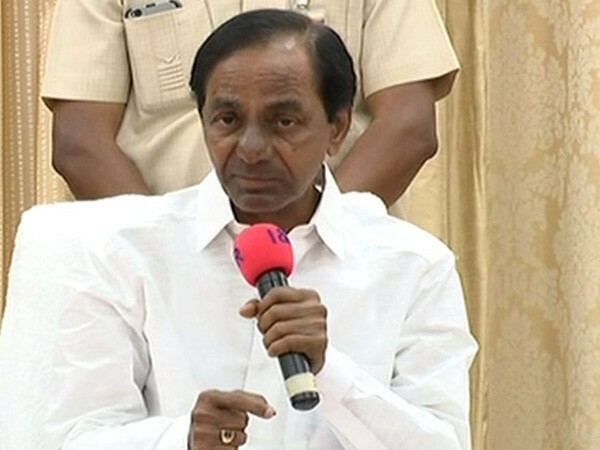 Hyderabad (Telangana) [India], Apr 17 (ANI): Chief Minister K Chandrashekhar Rao on Tuesday asked officers to develop a strategy to provide minimum support price to farmers in the state. Bhopal (Madhya Pradesh) [India], Jan 22 (ANI): State Agricultural Minister Sachin Yadav on Tuesday said that previous government’s “Bhavantar Bhugtan Yojana” failed to improve the condition of the poverty-ridden farmers. New Delhi [India], Nov 30 (ANI): Farmers from different corners of the country have started gathering at the Ramlila Maidan on the second day of the two-day protest, demanding debt relief and better Minimum Support Price (MSP) for crops. Chandigarh (Punjab) [India], Nov 9 (ANI): Punjab Chief Minister Captain Amarinder Singh has written to Union Minister for Consumer Affairs, Food and Public Distribution Ram Vilas Paswan, seeking to revise paddy driage at two per cent from one per cent of the Minimum Support Price (MSP). New Delhi [India], Oct 04 (ANI): Union Cabinet Committee on Economic Affairs chaired by Prime Minister Narendra Modi on Wednesday approved increasing the Minimum Support Prices (MSPs) for all Rabi crops for the year 2018-19 to be marketed in the year 2019-20. New Delhi [India], Sep 28 (ANI): The central government on Friday announced a reduction by Rs 70, 000 crore in the gross borrowing program, which would be compensated by reducing buy-back and additional flows from small savings. Medinipur (West Bengal) [India], July 16 (ANI): All India Trinamool Congress (TMC) on Monday expressed concern over the tent collapse incident that took place during Prime Minister Narendra Modi's Kisan Kalyan rally in Medinipur. Medinipur (West Bengal) [India], July 16 (ANI): Prime Minister Narendra Modi visited the injured in the hospital and enquired about the condition of those who were hurt after a portion of a tent collapsed on them at his Kisan Kalyan rally in Medinipur on Monday. Midnapore (West Bengal) [India], July 16 (ANI): Prime Minister Narendra Modi will address a Krishak Kalyan Samavesh (farmer's welfare rally) on Monday at Midnapore town in West Bengal. New Delhi [India], July 13 (ANI): Madhya Pradesh Chief Minister Shivraj Singh Chouhan said that the new tariffs imposed by the United States on China will be a 'golden opportunity' for the state to export soybeans to China.